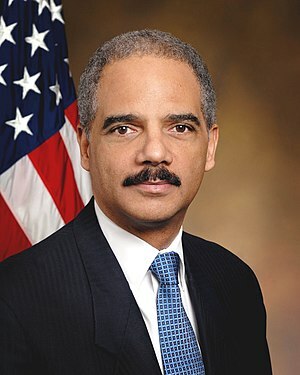 Eric Holder, Attorney General for the United States, announced this evening that three people have been arrested in a “Muffin-Gate Sting” operation conducted by the Department of Justice. Mr. Holder, reading from a prepared statement, spoke with reporters tonight at the scene of the arrests in Washington, D.C.
Arrested tonight were Justice Department interns Bunny Whidmore (age 21), Trisha Maxwell (age 22), and Jennifer Bittly (age 21). The three interns were taken into custody without incident by Federal Marshalls at the apartment they share in Washington, D.C.
A Department of Justice inspector general audit released earlier this week reported that just under $500,000 was spent at ten conference events between Oct. 2007 and Sept. 2009. Those events served the legendary $16 muffins as well as snacks of Cracker Jacks, popcorn and candy bars that cost $32 per person. Dreadmonger reporters requested comment from the three suspects as they were being led away in handcuffs by Federal Marshalls. We received one comment from intern Bunny Whidmore. Dreadmonger will provide updates to the story as they occur.